Are you looking for a way to run Active Directory Users and Computer as a different user? 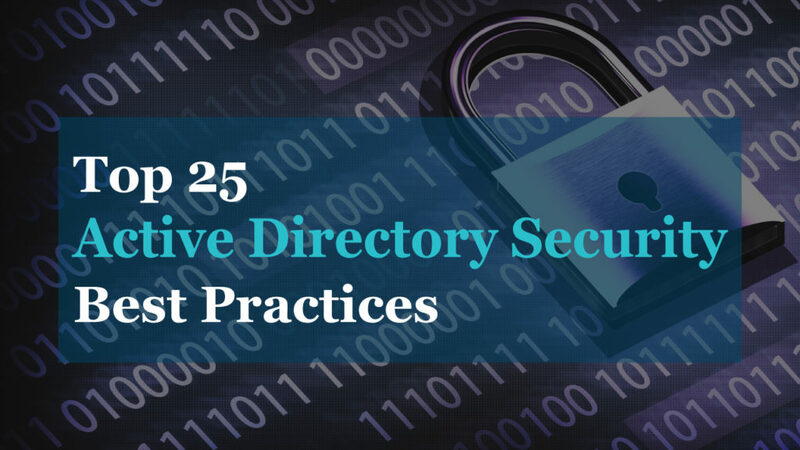 It is a best practice for System Administrators to have at least two accounts, one with regular permissions and one with elevated permissions to perform administrative tasks. This will increase security and reduce the risk of malicious attacks such as RansomWare. Logging in with a regular account will require you to launch certain programs such as Active Directory users and Computers as a different user. In this tutorial, I’ll show you two different methods for running programs as a different user. In Windows 2000 Microsoft introduced the runas command. This command is designed to allow a user to run a specific program with a different account. To use the runas command you just need to know the path to the program. 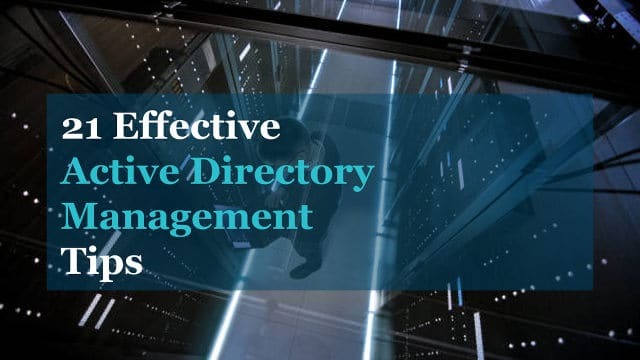 Here is the command to run Active Directory Users and Computers as a different user. runas /netonly /user:username@domain "mmc %SystemRoot%\system32\dsa.msc"
If you get the error below, it means you have UAC enabled. To work around this you will need to right click CMD and Run as administrator. Now you might be thinking, that’s going to be a pain to type that command out every time to run ADUC. I can just put the command into a text file and save it as a .bat file (batch file). Save the .bat file somewhere for quick access and then its just a click away to launch ADUC. runas /netonly /user:username@domain "mmc %SystemRoot%\system32\gpmc.msc"
runas /netonly /user:username@domain "mmc %SystemRoot%\system32\dhcpmgmt.msc"
runas /netonly /user:username@domain "mmc %SystemRoot%\system32\domain.msc"
You get the idea, just find the path and plug it in. This method is very similar to the first, we are just skipping the need to open command prompt. Basically, it’s creating shortcuts to the program using the run as command. 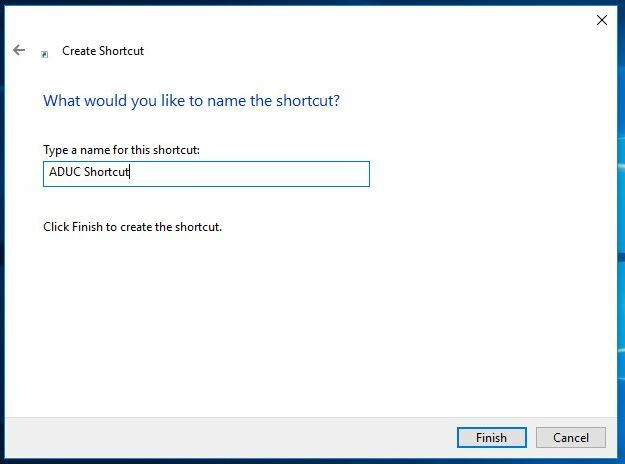 Right click the desktop or anywhere you want to create the shortcut. 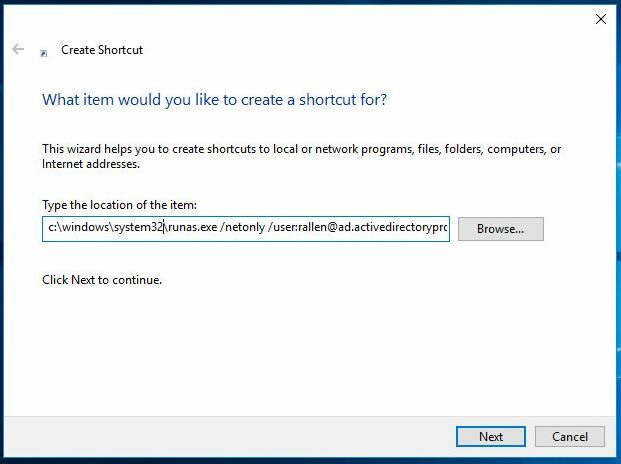 The shortcut is the same as method one you just need to put the path to the runas.exe. That is it for method two. If you don’t like either of those methods there is a third option and that is to setup a secure admin workstation or terminal server. Secure admin workstations are limited use systems designed to perform administrative tasks. 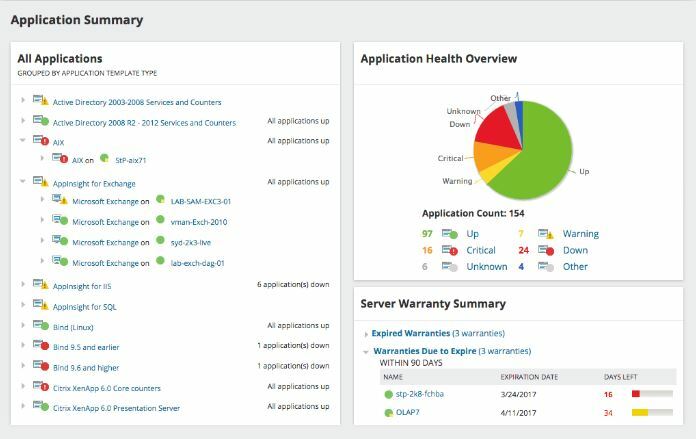 The admin workstation should be locked down with no internet access and only the necessary tools installed to reduce the attack footprint. There are some good documents from Microsoft on this, they are in depth. If you are serious about security I recommend you read them. To get started this is what I recommend and what I do in my environment. Now when my team needs to perform an admin task they have to connect to the admin workstation. Depending on how you have accounts setup this would reduce what an attacker could do even if they compromise a privileged account. They would have to gain access to the admin workstation plus get around the two factor authentication. Nothing is bulletproof but its a simple way to minimize risk.